What an art, isn't it. Hats off to the one who created this. Is it you? Please let me know. Excellent and very funny... I do not know who did it but that simply very funny!! Venho agradecer a sua visita. Obrigado, e aproveito para conhecer o seu blog. Aaaagh! Run away! run away! • Thanks for your visit. I was pleased. 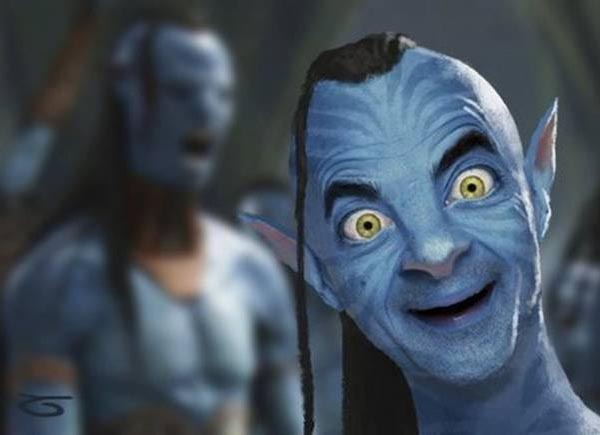 Mais oui c'est Mister Bean, bravo ! Hilarious! Bean is going bonkers :) and we need characters like Bean to make life more fun.